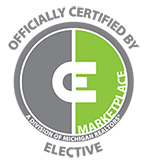 Complete your continuing education to renew your Michigan real estate license today. All of our courses can be completed At Your Pace online in order to help you maintain your license. Once you complete your class you will have an official certificate of completion available to print or save for your records. We are an approved online education provider for the Michigan Department of Licensing and Regulatory Affairs (LARA) - Professional Licensing (Provider # 490). 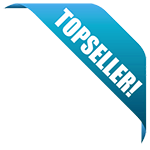 In Michigan a salesperson or broker must have at least 18 credit hours in a three year licensing cycle. At least two hours per year must involve law, rules, and court cases. 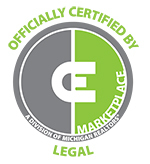 This package of continuing education training, which contains 12 hours of content, is intended for real estate professionals in the State of Michigan. This course discusses a number of topics including recent revisions of State law, strategies for supervision and management, errors and omissions, the integrated mortgage disclosure forms, and contract law. This 6-hour course will meet the requirements for one year of Michigan Real Estate CE, including the law update. The course includes the 2017 Law Update, as well as NAR Code of Ethics Training. This updated course covers the 2-hour law education requirement for Michigan real estate professionals, and was crafted with the student in mind. In the class, we will go through topics like the changes to the Michigan Occupational Code, changes to advertising, remote electronic notarization, probate law changes, local government licensing updates, assessor reform, and more. 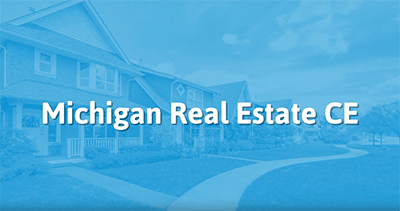 The intent of this class is to provide real estate professionals is the state of Michigan with 2 hours of training on changes to the legal framework that real estate professionals in Michigan operate within. This class will look at the recent revisions of the Occupation Code and the proposed revisions to administrative rules that affect real estate professionals and their activities.